Clayton Horton is the Director of Greenpath Yoga. He has been a student of yoga for over 30 years and began teaching in 1996. 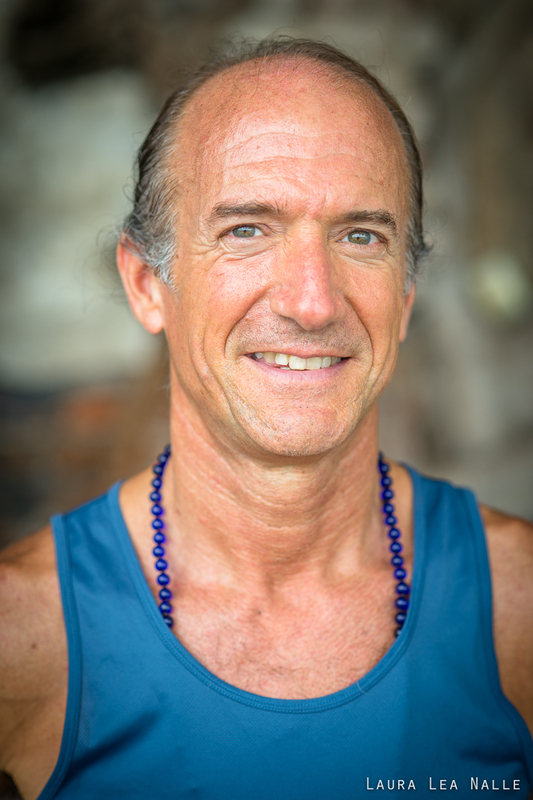 Clayton is an experienced and internationally known KPJAYI Certified Ashtanga yoga teacher who was born in Oklahoma, USA, just after the full moon rose on Teacher’s Day (10 September) in 1965. He discovered yoga at age 21 whilst living in San Francisco, California, when his mother took him to a pranayama class. After several years of practice and a long trip to India, he began teaching in 1996. To Clayton, yoga is a healing path back to the Self, allowing us to experience true peace and happiness. Being kind and living in balance with nature are qualities that continue to guide his life. Clayton studied with masters Sri K. Pattabhi Jois and the Greensufi for many years, both of whom gave him great inspiration to practise daily and develop a yogic lifestyle. He founded Greenpath Yoga in San Francisco in October of 2001. The studio was one of America’s first green and environmentally-friendly yoga studios with inspiring and progressive yoga programmes, philosophies, events and authenticity. Clayton received formal authorisation to teach Ashtanga Yoga from the Ashtanga Yoga Research Institute of Mysore, South India in 2003 and he received Level Two Authorisation in 2010. 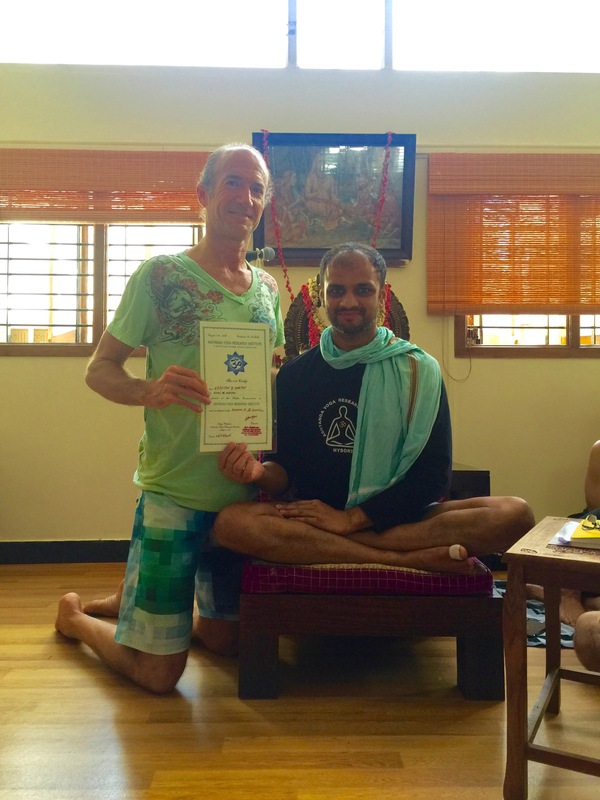 Whilst attending a course for teachers in Mysore during the summer of 2016, Sharath Jois awarded Clayton with the blessing of ‘Certification’ – the highest level of accreditation for teachers at the institute. Clayton’s teaching style is traditional, yet light-hearted and relaxed. He believes that by practising and living yoga, we can transform ourselves and the world around us. According to Clayton, Ashtanga Yoga is a complete and well-balanced system in which an experienced and skilled teacher can help any student ‘find their place’ within its structure regardless of individual challenges, aptitude and constitution. From 2001-2006, Clayton operated Greenpath Yoga Studio in San Francisco, California, USA. The studio was one of America’s first Green and Environmental – Friendly yoga studios. It was an inspiration with its progressive yoga programs, philosophies, events and authenticity. With Greenpath Yoga Studio and being a founding member of the Green Yoga Association, he has helped to inspire awareness of Earth Friendly yoga practices, philosophies and products. Currently, Clayton teaches Daily Ashtanga classes at Pure Yoga in Hong Kong at Pure’s Centrium Location. He teaches workshops, retreats, courses and presents at yoga conferences internationally. His favourite hobbies are surfing, swimming, singing and playing guitar. He is committed to making the world a better place by living with eco-awareness, teaching yoga and meditation, serving others with charity work (karma yoga), and offering music & Kirtan chanting (bhakti yoga). To contact Clayton click here.